Recognised as one of the Seven Natural Wonders of the World, the Grand Canyon is a vast gorge carved out by the flow of the Colorado River through the state of Arizona in the United States of America. At its deepest point, the canyon exposes layers of rocks that are billions of years old, which have been run smooth by harsh desert winds, creating beautiful swirling patterns and colours that add to the majesty of this impressive natural wonder. Natural formations of rock eroded over thousands of years have formed into fantastic shapes; one that resembles a great lighthouse has been dubbed ‘The Tower of Ra’, while others have taken on the appearance of buildings, monuments and even people. 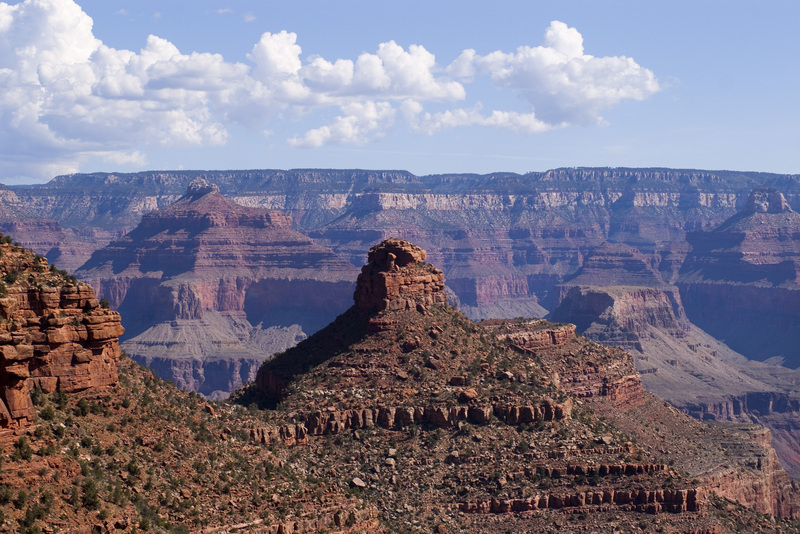 Humans have long been fascinated by the extreme terrain of the Grand Canyon, and many have made attempts to explore it. Formerly a home to the Ancient Pueblo Native Americans, the area still has a Native American population today. The first European explorers and missionaries to visit the region were stunned by the profound size and range of the canyon, and it wasn’t long before adventurers, geologists and explorers flooded in to marvel at it. Finally established as a national park in 1919, the Grand Canyon has had a significant impact on the American people and their cultural and national heritage. President Theodore Roosevelt personally championed the area, appreciating its wild terrain, clean air and opportunities for hunting. Unless you like your deserts scorching, visiting the Grand Canyon in the spring (March-May) and the autumn (September-November) is the best idea. Summers are long and hot in Arizona, and there’s little shelter to be had at the Canyon. Crowds will also be less around these times. Be careful to avoid planning your visit during the winter, as the park closes at the merest hint of snowfall.